Six heavily polluting industries, all involving manufacturing, will move out of Beijing, said a senior official of the Beijing municipal government during a dialogue with citizens on April 8. 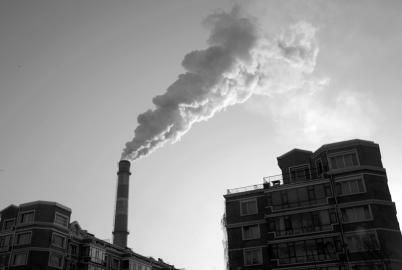 Six heavily polluting industries, all involving manufacturing, will move out of Beijing. Zhang Boxu, director of the Beijing Municipal Commission of Economics and Information Technology, said the six polluting industries involve casting, foundries, electro-forging, brick sintering and waterproofing materials. Zhang made the remark during a dialogue with citizens as a guest on Beijing Public Service Radio on Tuesday. "But research and development (R&D), design and marketing sections of the industries will not move," he said. Zhang explained that all links in the production process should be carefully considered, and there are bound to be some differences, for example, R&D, design and marketing sections will be kept in the same place because they have high added value and are comparatively environmentally friendly. "The manufacturing industry has a high demand for resources and a significant impact on environment, while Beijing is deficient in natural resources," said Zhang. "To adjust the industrial structure in order to meet the requirements of city development, is to take advantages of strengths while avoiding weaknesses." Zhang said that corresponding policies, laws and regulations will gradually be issued for the adjustment of the industrial structure. In fact, as air pollution poses an increasingly serious threat to Beijing, the municipal government has issued a series of guidelines over the past two years on how to adjust the industrial structure to meet the demands of the city's development, involving industries of petrochemicals, iron and steel, building materials, machinery, light industry, and nonferrous metals, Zhang said. Speaking of whether the polluting enterprises will be relocated to areas surrounding Beijing, Zhang said that the enterprises will not be accepted anywhere unless they have reached the required national emission standards by taking effective measures. Zhang also revealed that the municipal government supports the establishment of an industrial demonstration belt in the surrounding areas of Beijing and Hebei Province in compliance with national environmental standards. Mr. Li, a worker at Beijing Wanruilang Precise Casting Co. Ltd., said that quite a lot of casting and forging enterprises have closed down or moved out of Beijing over the past few years, and a similar thing has been happening in many parts of the country. "Many enterprises from the six polluting industries have branches outside Beijing," he said. A worker from the Beijing Foundry and Metal-forming Association agreed with Mr. Li, saying that there were more than 300 casting and forging enterprises in Beijing in 2006 and the number has now dropped to less than 100, with most of them located in suburbs. Chen Ji, a professor from the Capital University of Economics and Business (CUEB), said the six industries to be moved out the capital city are all traditional industries that have high input, high pollution, high energy consumption and low output. Professor Chen, who is also director of the China Center for the Research of Industrial Economics at CUEB, said that the enterprises that are getting left behind are medium and small township-owned ones with low added value, and the relocation will help rather than harm their future development.